At Orion Home Improvements LLC We Let Our Customers do the Talking! 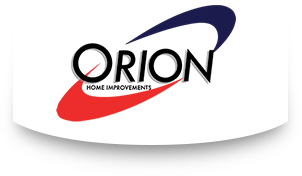 Your Springfield, VA neighbors who have called on Orion Home Improvements LLC have plenty to say about their great experience with us. No other roofing contractors Springfield, VA can match our combination of personal service and quality materials. Read for yourself what your neighbors are saying about Orion Home Improvements LLC. I used OHI to install a new roof on my house and in the process ran into a number of challenges. What stands out to me about the job is that even though I ran into issues with some of the workers and coordination of the work, when these issues were raised to the OHI team they doubled their efforts to resolve the challenges and did so in a fair and timely manner. John Ast was my sales rep and treated me right from the first visit to the final inspection, and both the pricing and quality of the work in the end was great. I would use OHI again. Great delivery on all accounts. Proposal, estimate, timeliness, quality, product and service. Jason and his crew represented the company and their product admirably. I would easily solicit them for future home upgrades / repairs. A former customer contacted Jason for me on a Sunday afternoon and by Monday afternoon I had a proposal in hand. The work was started on Wednesday and completed by Thursday afternoon. The workmen were professional and Jason dropped by several times during the job. They even cleaned up a window problem caused by another contractor. I will be using them again for other exterior work. Nothing seemed to go right with my job. Normally, this could be a bad thing – but Orion put forth the effort required to turn around a bad situation, and performed admirably under pressure. Im very pleased with the results, and would use them again.